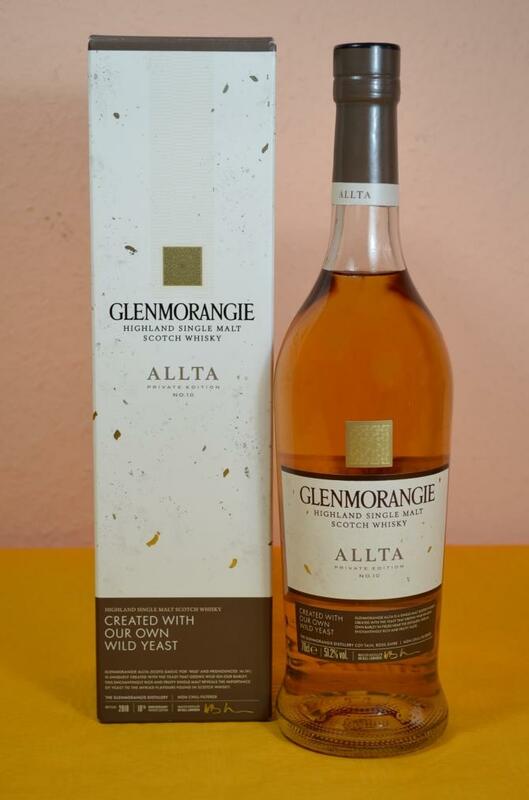 The colour is old gold and the nose offers indeed a flavour that often can be found in older drams: It is floral-perfumy with hints of lavendar, melissa and camphor. Very interesting but most probably not to everybody's liking. Beside this there are delicious fruits, honeys and waxes in an appropriate wooden setting. 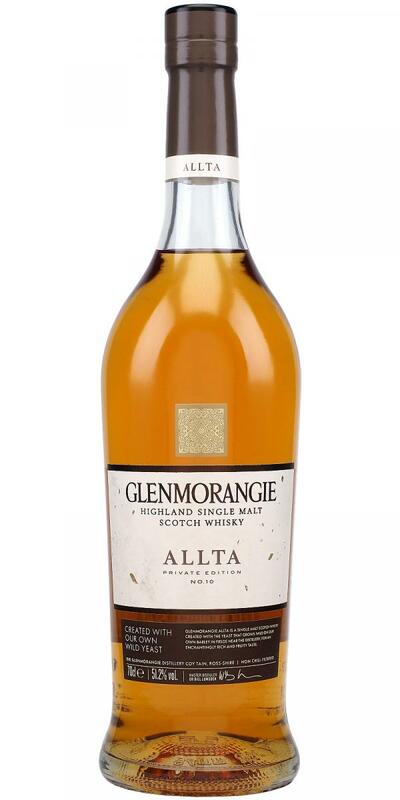 Later fine chalky, earthy and mineralic notes join in that often can be found in old stylish drams, too. The initial mouthfeel is warming and coating but with a significant drying-peppery touch (tannins at work) that is rather unpleasant. The finish is of short to medium length and adds more toffee and spicy flavours. The bitter-drying mouthfeel stays all the time throughout the finish. Water releases more of the interesting old-stylish aromas in the nose and turns the taste and finish less bitter - I like this dram best when reduced to about 40% abv. Interesting, clear yeast and malt notes, but rather something to try out, do not need a bottle of it. Malty, yeast, little fruit, pleasant. Oily, fat, malt notes, a little one-dimensional. Medium long, slightly drier, well. The colour is dark gold. The nose starts with notes of bread and wort, and goes to sweet-earthy notes of fruits, citrus, spices, cumin, mushrooms, truffles, vegetables, minerality, apples, plums, berries jam and black pepper. The palate is sweet with bread, fruits, caramel, spices, cumin, perfume, black pepper and mushrooms notes. 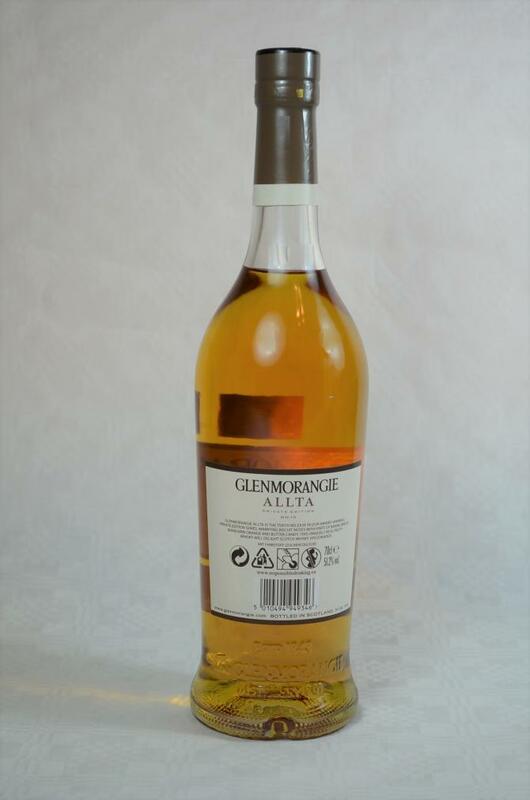 The finish is long with spices, oak, fruits, vanilla, apples and black pepper notes. 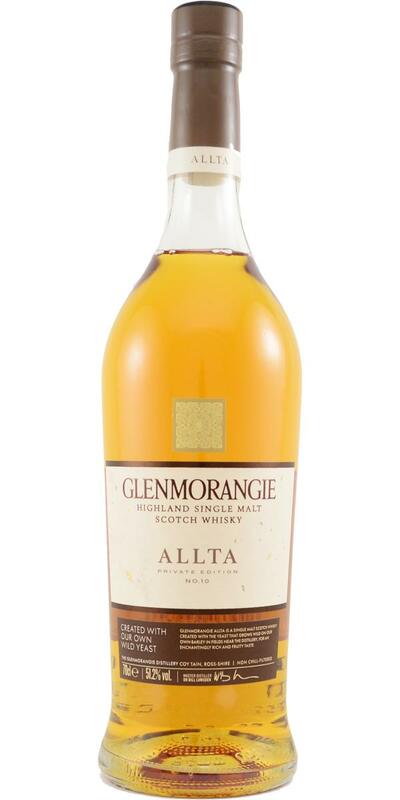 This is an interesting, well balanced and unusual Glenmorangie. It’s a strange, but interesting. Allta could be liked or no, but it can’t to leave indifference. I like it. Chew well to get all the fruitiness on the palate. Malt, apricot and again malt. Pretty simple and flat. The alcohol is well integrated and despite 51vol% very mild.